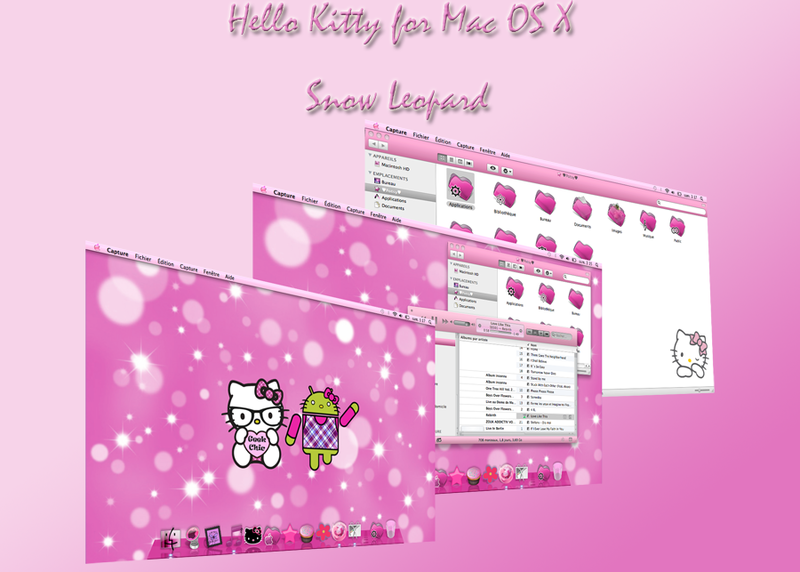 Hello Kitty Theming is my passion, as some people like dancing, singing, or shopping ! 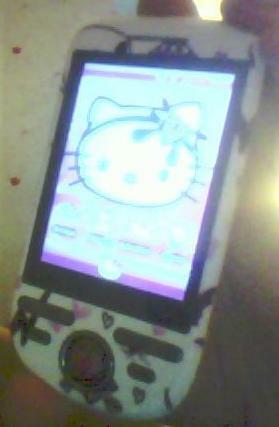 I always like customizing all my devices with Hello Kitty outside and inside ! Why ? 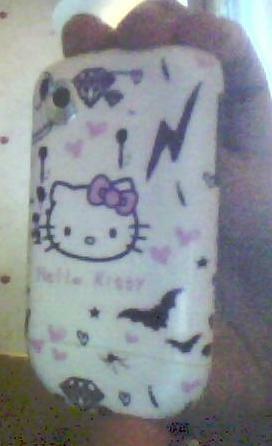 Firstly, because i like Hello Kitty and high tech ! So naturally i like combining both ! Secondly buying original Hello Kitty devices from Sanrio or clothes or shoes or jewels are too expensive mostly when you’re addict ! And the worth, some Hello Kitty devices are really bad and only customized Hello Kitty outside ! So i prefer buying an efficient device customized by myself ! Also if you don’t theme it, they are all the same ! Your neighbour has maybe the same boring phone like you ! So it’s better, cheaper and making themes is free. I learn in the same time, so i don’t need to buy any themes to someone else. Also buying many Hello Kitty Stuff takes so much places ! But when you’re able to make your own themes, whatever how many themes you have, they don’t take any place physically ! But they take so much memories, it’s why you need a good phone and a SD Card anyway but not specially the last expensive one ! In 2008, i started to be obessed by customizing when i bought my first laptop with windows vista. I was looking for a pink theme, but i didn’t find one anywhere and of course i didn’t want to use any third app to theme my Windows Vista. 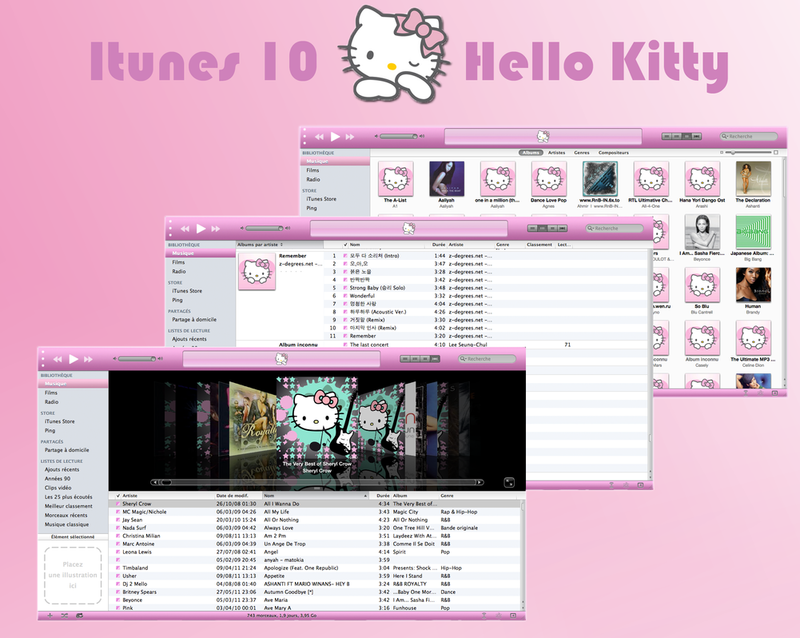 So i inquired about how to edit files on Windows Vista, and so i started my own Hello Kitty theme that became very popular on Deviantart. During my studies, i needed a small laptop like a netbook for my lessons. And no i never studied IT like some people think ! I actually graduated from a master’s degree in project management and digital marketing from a a business school. So i purchased a Samsung Netbook with windows starter 7. And i read everywhere on internet it was impossible to make theme on this OS. But with perseverance and some knowledges about windows, i finally made my own Hello Kitty theme for Windows 7 Starter otherwhise everyone said we can’t ! The same year, i discovered android and bought my first android phone, HTC tattoo. Firstly, i hated android because not accustomed ! But i learned a lot about it, what is root, what is rom and everything. It’s why i’m able to mod in Hello Kitty most of android apps. When i saw all the possibilities, i finally liked it and now i’m Team Android ! I stopped using third launchers and third apps like Go sms or Ex dialer excepted CM apps obviously ! ? Since 2011, i’m also a Macbook user ! The macbook came with Snow leopard ! It was really amazing ! And of course, i inquired about how to make my own theme, because i didn’t find any theme for this OS ! And i finally learned and was able to make my own theme and also to theme my Itunes. But Apple is very annoying and makes OS for macbook very hard to theme in every update ! Now i also like customizing some web pages on Google Chrome with stylish and you can read my article about it ! Finally, as i said i never studied informatic but i am always kept informed about the last technological news, softwares, android and Hello Kitty news as well. I obviously don’t take anything for granted, i am always getting better at doing my mod and my themes ! 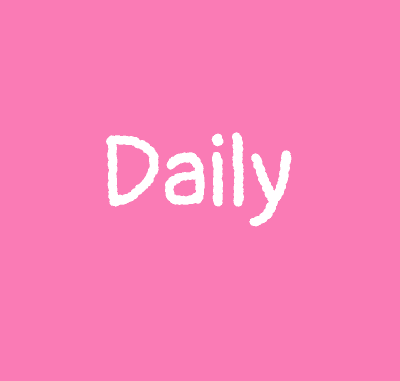 hi thank youb fot this blog..i really like thist theme.